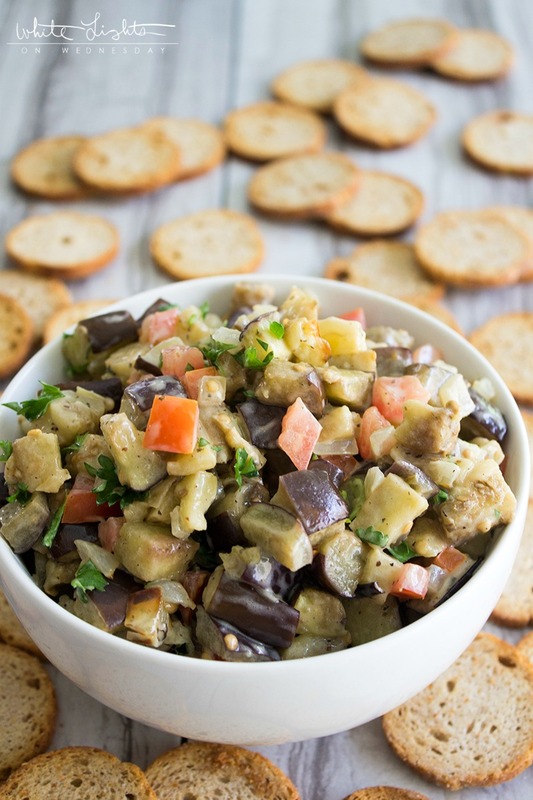 Rustic Baba Ghanoush is a flavorful bite that’s delicious as a party dip or a vegetarian side dish! 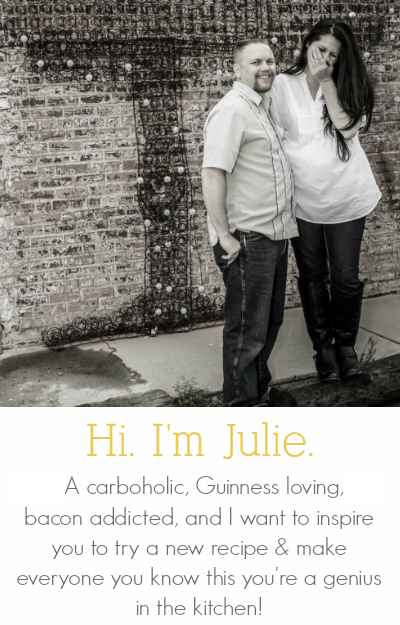 I’ve been on this kick of trying to get my family eating more vegetables. Either mixed in with dinner, as a side dish, or even in a healthy appetizer. With my current hummus fixation, I wanted to make something new that embodied the hummus idea but was veggie based…not legume-based. Enter Baba Ghanoush. While traditionally this appetizer is a spread, I’ve turned it into so much more with a rustic style preparation. This dish is traditionally made with eggplant, onions, tomatoes, lemon, and tahini paste. Uh, yum! But I wanted something a little more substantial than another bowl of spread in the fridge. 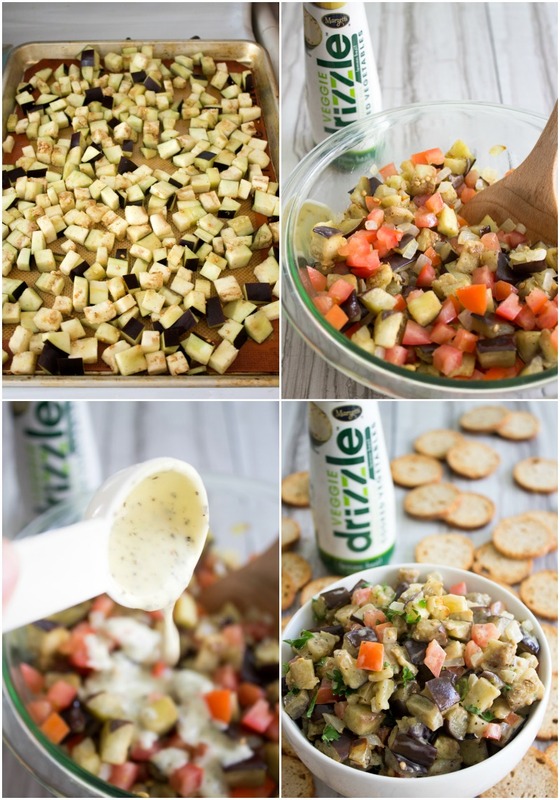 So I grabbed a bottle of Marzetti® Veggie Drizzle™ Lemon Basil Finishing Sauce and diced my veggies instead of pureeing them for an appetizer that everyone will want the recipe for! 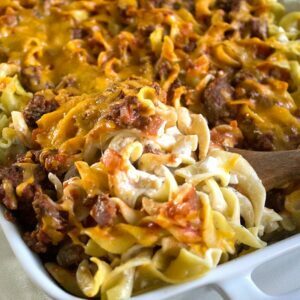 Even my super picky husband liked this recipe, and that’s saying something. 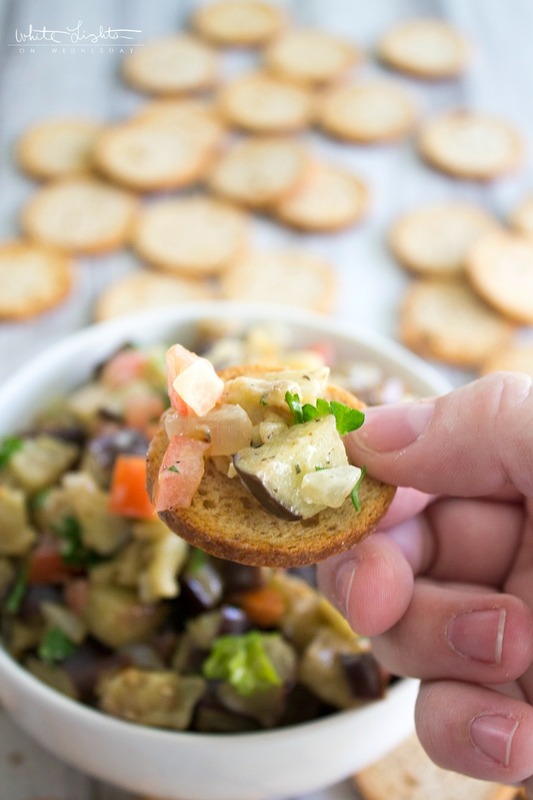 We’re kind of major Appetizer Dip Recipes fans so I was able to sweet talk him into trying it. 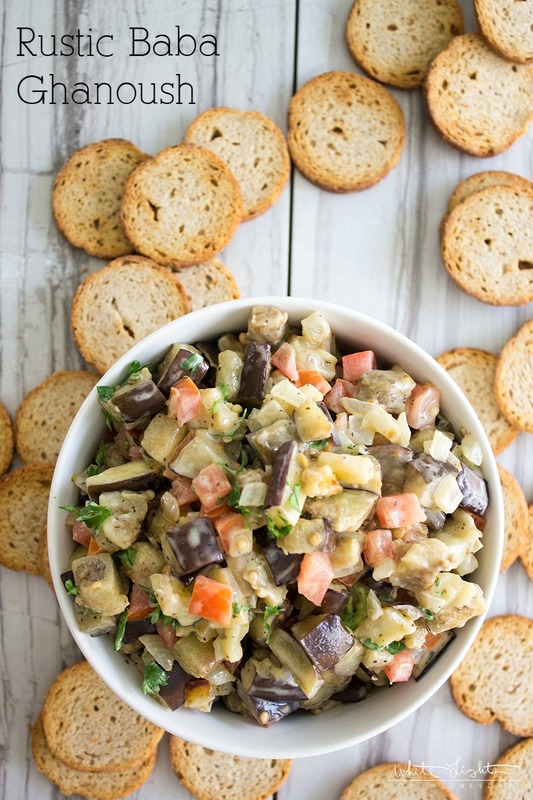 What’s really great about this recipe is that you can serve it up for a veggie-packed side dish that no one can resist! 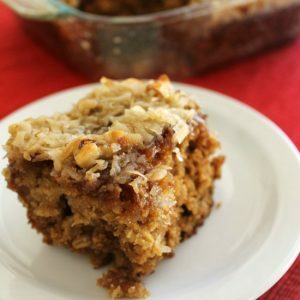 You can even serve it over rice, quinoa, or couscous for a Meatless Monday dinner that’s healthy and delicious! I totally have plans to serve these veggies alongside some kabobs next time we grill. I’m going to put the baba ghanoush in some naan bread and add the meat on top for a Mediterranean-inspired taco! 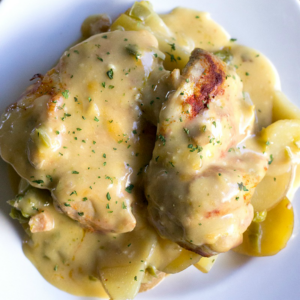 These Marzetti® Veggie Drizzle™ Finishing sauces are amaze-balls. I couldn’t believe how amazing the flavors tasted!!! (Yes, it deserves 3 exclamation points.) The Lemon Basil is bright and herbaceous. The Honey Balsamic is slightly sweet with a bite. The Garlic Parmesan is heaven in a bottle. And the Thai Chili will and some serious zing to anything you put it on. These sauce legit blew me away. I’ve tried my share of finishing sauces over the years and these are the best I’ve ever had! 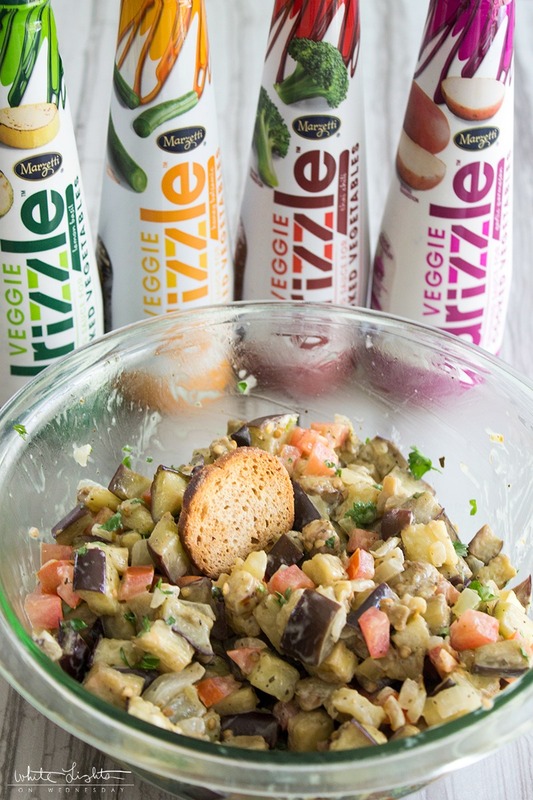 Marzetti® Veggie Drizzle™ Finishing Sauces are made to top your cooked vegetables, and they’re sure to bring a burst of flavor to any meal you serve your veggies alongside. 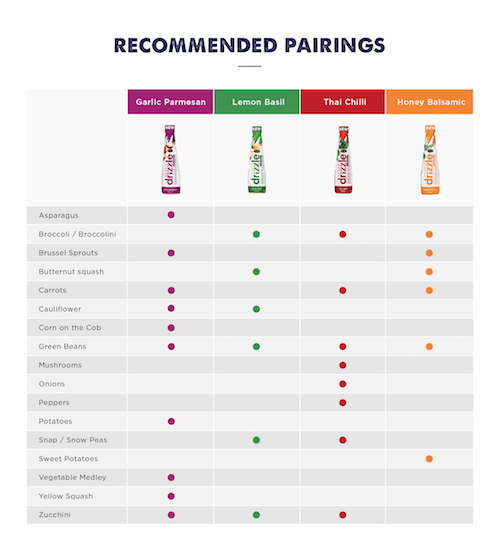 If you’re not sure where to get started with your flavor pairings, this chart will take away the guess work and leave your taste buds dancing! Marzetti® Veggie Drizzle™ Finishing Sauces range from 20 – 45 calories, so you can have all the flavor you want without compromising. You can get your favorite flavor of Marzetti® Veggie Drizzle™ Finishing Sauce in the pre-cut veggie section of your local grocery store’s produce department. 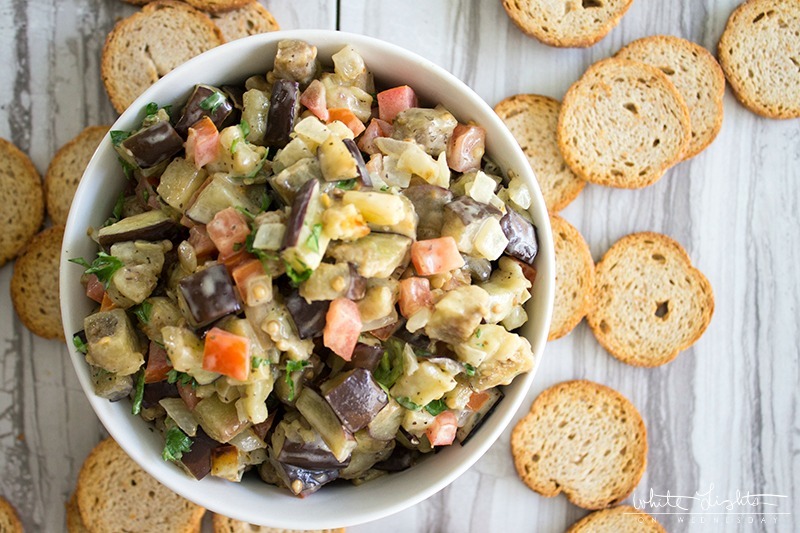 Rustic Baba Ghanoush is a flavorful bite that's delicious as a party dip or a vegetarian side dish! Preheat your oven to 350 degrees F. Line a baking sheet with a Sil-Pat or parchment paper and set aside. 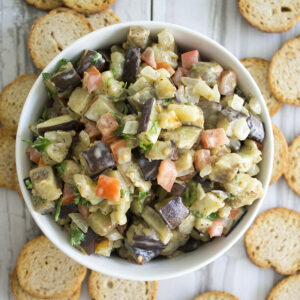 Place the eggplant in a mixing bowl, drizzle with oil, and sprinkle with salt & pepper. Toss to coat the eggplant evenly. Pour the eggplant onto the prepared baking sheet and spread into an even layer. Bake for 20 to 30 minutes, or until the eggplant is tender. While the eggplant roasts, heat a skillet over medium-high heat. Melt the butter in the skillet and then add the onions. Cook until the onions are soft and begin to brown, about 10 minutes. Stir Often to prevent burning. Remove the eggplant from the oven and transfer it to a mixing bowl. Add the onions and tomatoes to the eggplant. Gently stir to combine. Add the parsley and Marzetti® Veggie Drizzle™ Finishing Sauce to the bowl. Gently stir until all the vegetables are evenly coated. Transfer to a serving bowl, and serve warm or at room temperature with crackers or toasts.